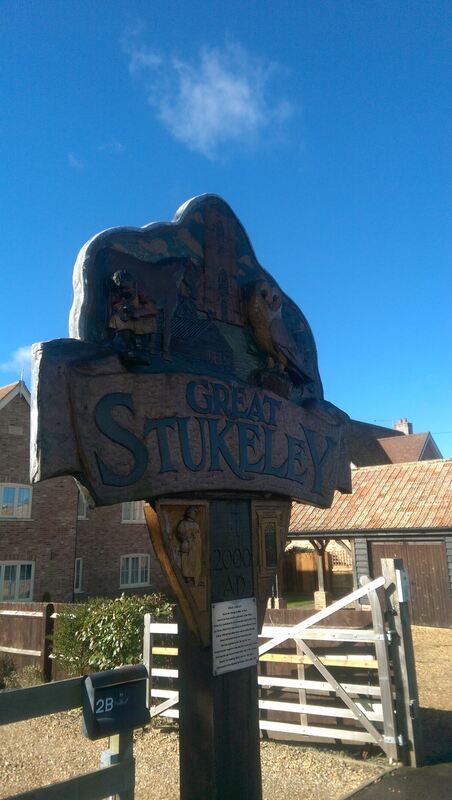 Great Stukeley is a village and civil parish of the The Stukeleys in Huntingdonshire in Cambridgeshire, England. It lies on the old Roman road of Ermine Street. The East Coast Main Line railway runs near to Great Stukeley and serves the nearby Huntingdon railway station. The church in Great Stukeley is dedicated to Saint Bartholomew and the village war memorial is contained within its grounds. The cache is a very short walk from the village sign. Please do not go climbing all over the sign!